Profound Hip Hop Quote #27: I’m Back With Power!! TI, aka Clifford Harris, was dubbed the Jay Z of the south, yet has had his share of run-ins with the law and difficulties staying out of trouble. Nevertheless, there’s something special about this guy. Perhaps it’s that we both share the same surname or that my paternal grandparents also hailed from Georgia. Actually, his profound lyrics and innate “swaggerability” (Yes I just made up a new noun) are two attributes that have made me a follower of his music. Regardless of what has went on in his personal life, lyrically speaking, this guy is alright with me. 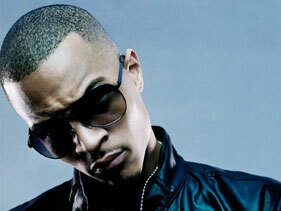 Ironically, TI’s trouble with the authorities has, more times than not, been associated with firearms or artillery charges of some kind, but he elicits a positive reaction from listeners with his lyrics from “I’m Back.” These in particular lyrics, “Think the power is in the gun, but over all it’s in your heart,” address an issue all too familiar with people living in the inner city and even in rural areas: gun violence. Even though I’ve never been fond of guns mainly because of the inauthentic power they instill in people who can impulsively take another person’s life within a flash, I do understand why guns have become so prevalent over the years. Some people carry guns for protection, others carry them with the intention of committing a crime or causing harm, while others simply get an adrenaline rush of power by having guns in their possession and just going to shooting ranges to practice. However, who are these people without the guns? What do their hearts reveal? Is it anxiousness, fear, confusion, desperation, anger or even worthlessness? Whatever it may be, people must eventually deal with the matters of the heart because that is where the true power begins, and when it comes to violence, let’s hope “for you that ain’t in the cards.” Address those issues first rather than seeking power in an inanimate object that can potentially cause a lifetime of heartache for animated human beings who are passionate about making this world a better place. In TI’s profound lyrics, he chooses to omit the pronoun “you” in the second line of his lyrics, “You think the power is in the the gun, but over all it’s in your heart,” causing the listeners to refer back to the antecedent, “dude” so that they know to whom he is referring. Also, as a result of TI excluding the pronoun you, this particular line can refer to anyone who believes that the power is in the gun.